Being a wahm, I actually get more work (and better quality work!) done, just while my daughter sleeps. In about 4 hours a day of peace & quiet, I get more done at home than I ever did at my corporate job at my office for 8+ hours a day. Why? Because of a little thing called time batching! Back when I was working my corporate job, I was constantly bouncing from one thing to another. I would sit down to work on my to-do list, only to be quickly interrupted by a phone call, an email, or a co-worker. Simple things that I could get done in 10 minutes if I was alone in the office would easily take 40 minutes to an hour because my attention was diverted the second something else came up. Think of the last time you baked cookies. Did you toss in ingredients, mix the batter, and bake just enough for one cookie at a time? That is crazy right, you would spend hours making 24 cookies that way. No, you tossed in enough ingredients, mixed, and baked for a whole batch of cookies! See what I did there? ? Now imagine doing that for your biz. Instead of taking one photo for Instagram, editing it, writing a caption, and posting it every.single.day. Imagine doing enough for one week, or better yet, one month, in just one session. That would save you considerable time each day to work on other aspects of your biz, right? This is time batching! Now, consider if you did that with multiple aspects of your biz. What if you batched your blog posts, your Facebook posts, your email broadcasts, need I go on? Think of how much time you could save by batching all those cookies at one time, then by spreading each one out. 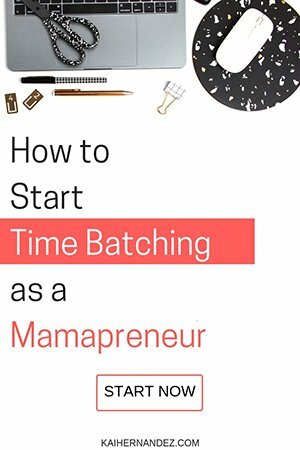 How does time batching help Mamapreneurs? As a first time mama, I never realized just how much I would love watching my daughter and seeing her hit all of these new milestones! When I first started my online biz so that I could stay home with her, I had no idea how hard working from home with a baby would be. I would try to work while she was awake, and I literally got nothing done. It wasn’t until I started giving my daughter my full attention while she was awake that I started to find some balance. However, this also meant that I only had these short windows of time to try to do anything online. The first few weeks it meant that I scrolled through Facebook looking for something to share on my page, and by the time I found something, my daughter was awake in the other room, ready to get my full attention again. That went on for a few days, who am I kidding, it probably went on for weeks of doing the same few things every day just to try to keep my head above water. At some point, it hit me that I was literally doing the same exact thing every.single.day. Why not spend one day doing just one thing, and knock that one thing out for the next week or two? Once I had that done, I moved on to another thing and another. Finally, it felt like I was hitting a great stride, and better yet, because I was so immersed in whatever that one thing was, I actually provided better quality! Ready to give time batching a go? The first thing you need to do is figure out when your time blocks are. If you have ever heard of time blocking, that’s what this step is like, it is finding dedicated chunks of time where you can work, work, work, work, work, without interruption. If you have really little ones, like me, your time blocks will probably be naptimes and after bedtime. Are you able to wake up before your little ones wake up? Maybe you will have a block of 30 minutes, to a few hours there. What about after they go to sleep? This is when I get a majority of my work done! Are your little ones in day care, or school? If you aren’t running errands during this time, maybe bring some work with you and stop at a nearby coffee shop to skip the commute and get more work done! If your little ones are old enough to play independently with minimal supervision inside the house, try setting up a time frame of quiet play where you can get your work done without constantly looking up. Take a sheet of paper and jot down any task you do for your biz more than once. And I mean literally anything, even if it is something you only do once a month, or once a year, write it down, and write down how often it needs to be done. This may seem ridiculously easy at first, and you may be thinking “is this even important?” It may seem hard to believe now, but all these tasks, are actually what is holding your biz back. These repetitive tasks are keeping you so busy in the limited amount of time that you do have, that you are more keeping to the status quo than growing. Is there any way I can automate this? How often does it need to be completed? Now that you have asked the hard questions, it’s time to put all these essential tasks in a safe place that will remind you when they need to be done, and keep you from rushing around last minute because you forgot. For any items that can be automated, include them in the list of when you will be setting them up, as opposed to when they will go live. 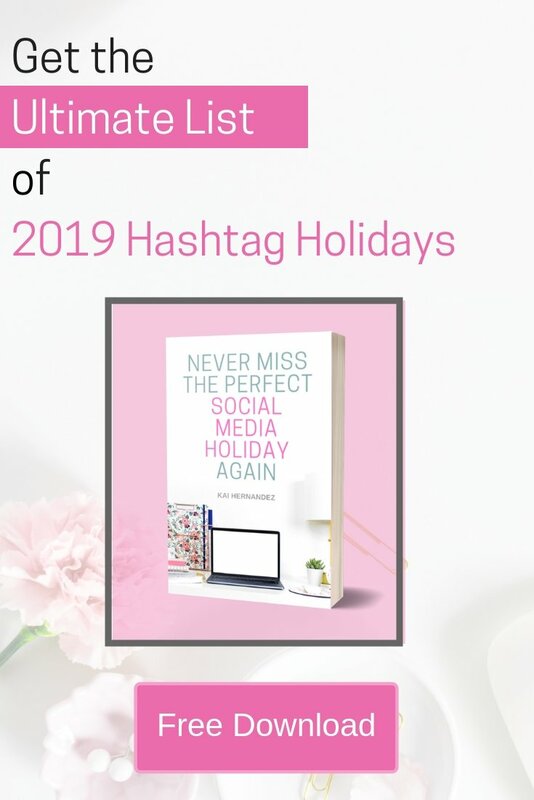 If you write four blog posts once a month and have one scheduled to publish each week, this task would go on the monthly checklist, because you only set it up once a month. Look through your checklists and identify which blocks of time to use for which tasks. You will notice you have more free time blocks, now that you have a batching system in place, to take care of the routine tasks for your biz. Now that you’re batching routine tasks for your biz, it’s time to use the rest of your time blocks to the max! No, I don’t mean using it to binge watch Friends. I mean envisioning what your ultimate dream biz would look like if you had unlimited resources, and finding little things you can do every day to get another step closer to that goal!